Jurassic World Fallen Kingdom Offical Trailer! Bryce Dallas Howard, Chris Pratt, Dinosaurs, J.A. Bayona, Jeff Goldblum, Jurassic World, Jurassic World Dinosaurs, Jurassic World Fallen Kingdom, Jurassic World Fallen Kingdom Offical Trailer! 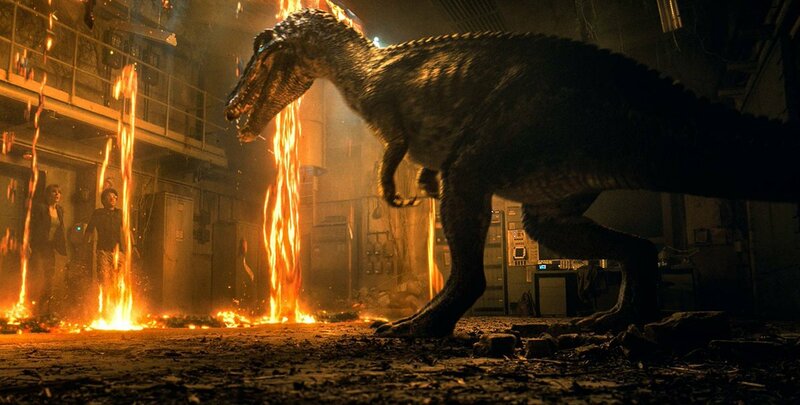 It’s been four years since theme park and resort of Jurassic World was destroyed when the dinosaurs got of containment. Isla Nublar is now abandoned by humans while the surviving dinosaurs inhabit the jungles. When the island’s dormant volcano roars into life, Owen (Chris Pratt) and Claire (Bryce Dallas Howard) set off on a mission to rescue the surviving dinosaurs from this extinction-level event. Owen is driven to find Blue, his lead raptor who’s still missing in the wild, and Claire has grown a respect for these creatures she now makes her mission. Arriving on the unstable island as lava begins raining down, the expedition discovers a conspiracy that could change the our entire world! Check out the trailer for Jurassic World Fallen Kingdom! Get set for the next chapter of wonder and adventure in one of the successful series in cinema history, as Jurassic World Forbidden Kingdom sees the return of favorite characters and dinosaurs—together with new breeds more awe-inspiring and terrifying than ever before! 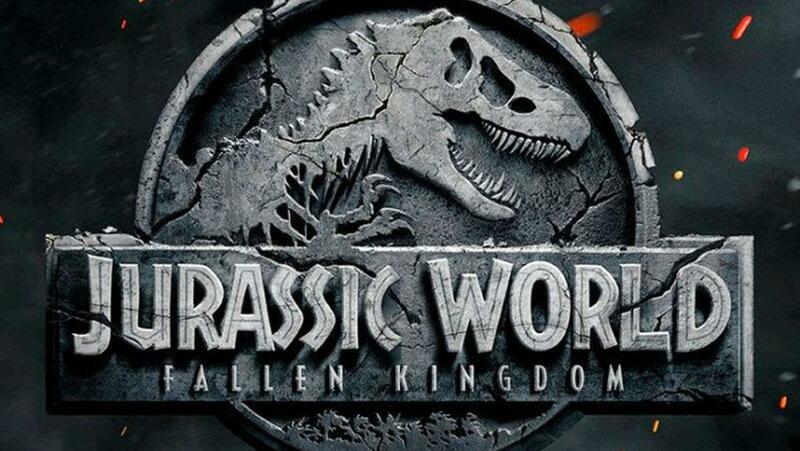 The stars Chris Pratt and Bryce Dallas Howard return along with executive producers Steven Spielberg and Colin Trevorrow for Jurassic World: Fallen Kingdom. They are joined by co-stars James Cromwell, Ted Levine, Justice Smith, Geraldine Chaplin, Daniella Pineda, Toby Jones, Rafe Spall and Isabella Sermon, while BD Wong and Jeff Goldblum reprise their roles. Directed by J.A. Bayona (The Impossible), the movie is written by Jurassic World’s director, Trevorrow, and its co-writer, Derek Connolly. Producers Frank Marshall and Pat Crowley once again partner with Spielberg and Trevorrow in leading the filmmakers for this stunning new instalment with Belén Atienza joining as a producer. 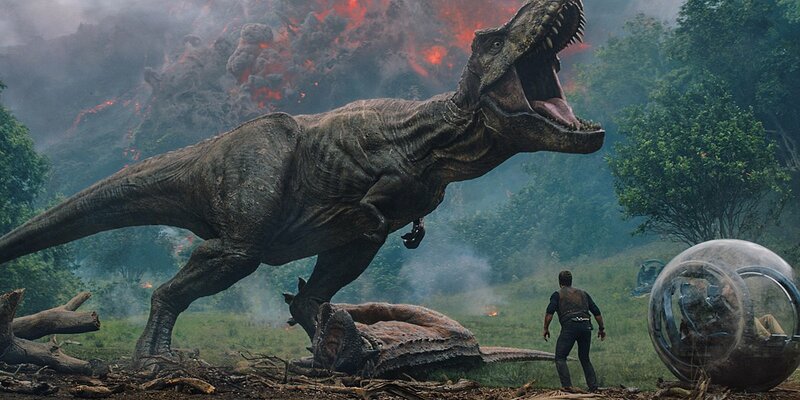 I’ll probably never get tired of watching these movies but I wasn’t too highly impressed by Jurassic World (2015). Jurassic Park will always go down as the best one. Classic! 😀 Still pretty excited to see what Fallen Kingdom has in store for us! Wow super cool I didn’t expect an official preview to be out so soon! I thought Jurassic World was just ok, but I have more than enough nostalgia for the series as a whole to give this one a chance. Great trailer, and it looks like they’re actually trying something new with this one. Loved Jurassic World despite all the negative comments from others. This one looks like a fun and exciting film. Of course, it won’t match the original by Spielberg, but what can? I enjoyed Jurassic World as well, so been looking forward to this trailer for Jurassic World Fallen Kingdom. It looks really fun and exciting. I love the original Jurassic Park film as well, nothing quite beats that T-Rex attack! Awesome! Loved the first Jurassic World (definitely the greatest of the Jurassic sequels) and this follow up looks suitably epic – glad to see Jeff Goldblum in there! I haven’t seen any other adaptations into these movies since Jurrasic Park (1993). Perhaps it is the classic wonders of the original that stuck within my heart but it is a movie that I only associate when dinosaurs are mentioned. It had a lovely cast, the direction flowed nicely and the music is nkw something of a magnificent nostalgia. Not one that roars at me but I am glad you are looking foward to it as it does look impressive. I’m definitely not sure about Pratt’s mustache! LOL! Yeah, know what you mean! I must admit, I didn’t expect much from the trailers, but I quite enjoyed them, hopefully Jurassic World Fallen Kingdom will deliver the goods!